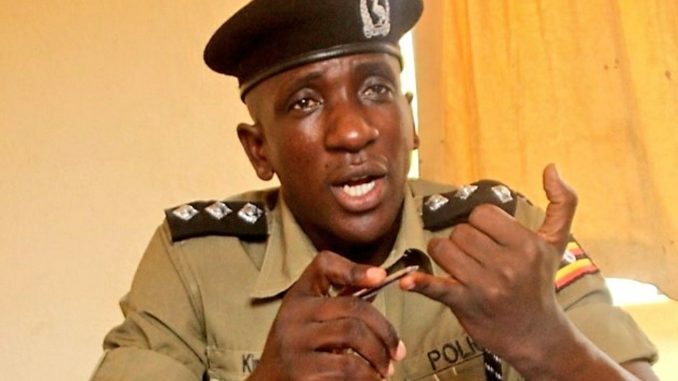 Former Buyende District Police commander Muhammad Kirumira has questioned the manner in which the case involving city socialite Brian White was handled. Kirumira claims there is high levels of injustices that was manifested in handling the case something he believes needs to be given another critical reconsideration. According to Kirumira, Mr. Frank Mwesigwa the then Kampala Metropolitan Police commander, suspected the gun which was used Bryan White was suspected to be smuggled into the country. How comes he was not charged with unlawful possession of firearm? “Secondly Bryan White had 2 illegal police guards, a reserve of VIPs, how comes DPC Mugerwa Benard was not held accountable. If Kitatta was charged with illegal smuggling of guns in Uganda, why should Bryan White be protected.” He wondered. “Finally I am aware, and when I say that I am aware, I am actually aware that Bryan White was helped by Senior Police Officers to escape justice with assistance from DPP’s office. Therefore, Embwa Egenda Kulya Emmwanyi.” Kirumira continued. Immediately after the arrest of socialite Brian Kirumira aka Bryan White, he was transferred from Kabalagala police division in Kampala to Nalufenya, a high profile police detention facility in Jinja District. A source said Bryan White’s transfer was ordered by the former Inspector General of Police Gen Kale Kayihura after receiving reports that the gun he used to shoot his neighbour Victor Bitwire was not registered by any security agencies in Uganda. Kampala Metropolitan police commander, Frank Mwesigwa, said the gun used in the crime is not marked and it is suspected to have been smuggled into the country.